To see the happiness and enguish in their faces is something everyone should witness. 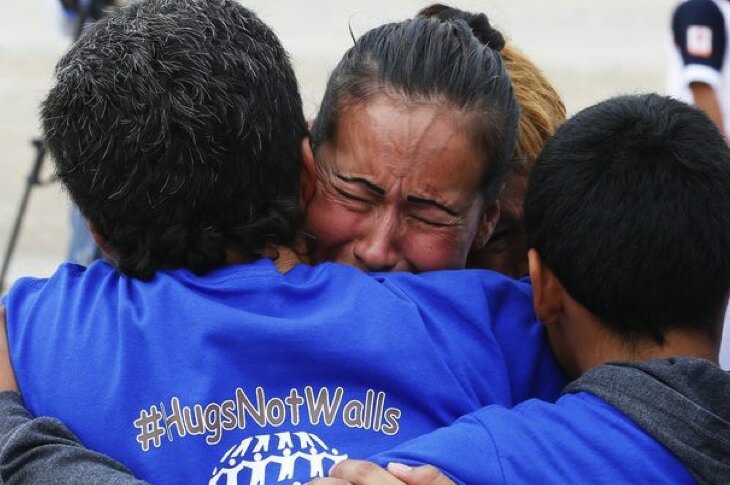 Family members from the U.S. side wore blue and those from the Mexican side wore white, but the colors of the shirts didn’t matter on this important, emotional day. Being burdened with the legality of their residency status these family members have been unable to see each other for years. 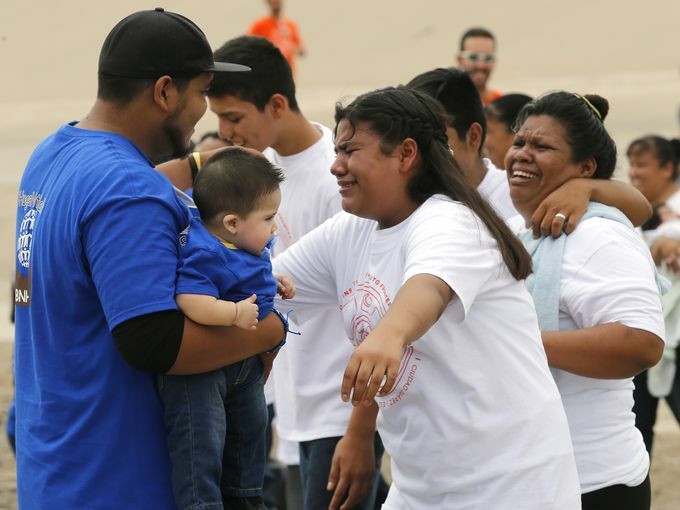 Supervised by Border Patrol and coordinated by immigrant advocacy groups, a 3-minute session was put together to allow these families to come together temporarily. Though it seems extremely short, the session meant the world to those who participated in the heartfelt event. One man, Francisco Luevano, hugged his mother for the first time in 15 years. ​He has been living in Las Cruces, New Mexico and working as an undocumented maintenance worker in a hotel since he left Mexico. His mother traveled 700 miles to see him for the short 3 minutes that the border opened up. Grandmothers held their grandchildren for the first time and husbands embraced their wives, often caught up in earning enough money in the States to have their families sent over while trying to gain citizenship. The sessions were split into the timespan of two hours, where nearly 100 families were reunited. Fernando Garcia, executive director of the Border Network For Human Rights, works closely with Border Patrol to arrange events like this and improve community relations. He describes the overwhelming love felt at these events as a form of protest against the policies set up against immigrants and undocumented people. ​Of course, this sounds a lot like what Donald Trump has been preaching for a year and a half now: a huge wall that spans the entire length of the US-Mexico border and stricter regulations regarding immigrants. His proposed policy would increase the likelihood that these families would never see each other again. The group hopes to host more events like these, which was organized well and did not result in any illegal activity or arrests. Just families hoping to share love for a brief window of time.